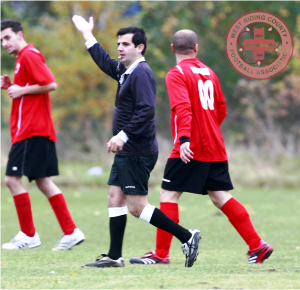 Referees are often seen as the villain of the piece by both players and fans. The very nature of being a referee means that you will never please everyone as a decision that favours one team will often directly cost the opposition. 60 minutes in to the opening match of the third round of the 2014 Six Nations championship and Wales lead the French by 20 points to 6. Referee Alain Rolland blows his whistle awarding a penalty to Wales after France’s Louis Picamoles infringes at a ruck and, following a minor scuffle with some Welsh forwards, Rolland decides to send Picamoles to the bin. What followed was a rare and unsavoury sight for rugby purists. 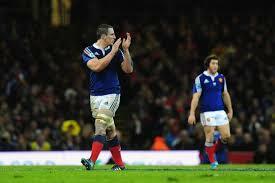 As Picamoles took his walk of shame, he turned in Rolland’s direction and mockingly applauded his decision. Now roll back the clock to 2012 and the tragic case of Dutchman Richard Nieuwenhuizen. Officiating as a linesman in a Sunday league youth match in the city of Almere, following the final whistle the 41-year-old father of three was subsequently attacked by a group of players believed to be aged between 15 and 16, and consequently died. The incident caused outrage around the world and put shame upon sport in general. Although this was an exceptional case, the matter drew further light on the way that referees are treated in sport. Just watch your average Premier League match on the TV and see how many players harass referees shouting and screaming in their faces to get a decision. While many may argue that this is just another reminder of the extreme competitiveness at the top level of sport, this behaviour is soon used as a precedent by starry-eyed youngsters who look to emulate their heroes. Indirectly as a result, children starting out in sport believe it is fine to treat adults, who volunteer their time to give these children the opportunities to take part in the sports they watch on television, with a distinct lack of respect and treat them as second-class citizens. Referring back to the rugby, following Picamoles’ dismissal, after the match French coach Phillipe Saint-Andre confirmed that Picamoles will be dropped from the French squad for their next game following his disrespectful gesture. A brave decision and an unusual, yet wonderful, show of sportsmanship in the sometimes cynical world of professional sport. So hopefully next time a youngster takes his frustration out on an official, in whatever sport, their coach will respond by taking them off and suspending them for the next game. Maybe then, ALL of us can enjoy our sports!